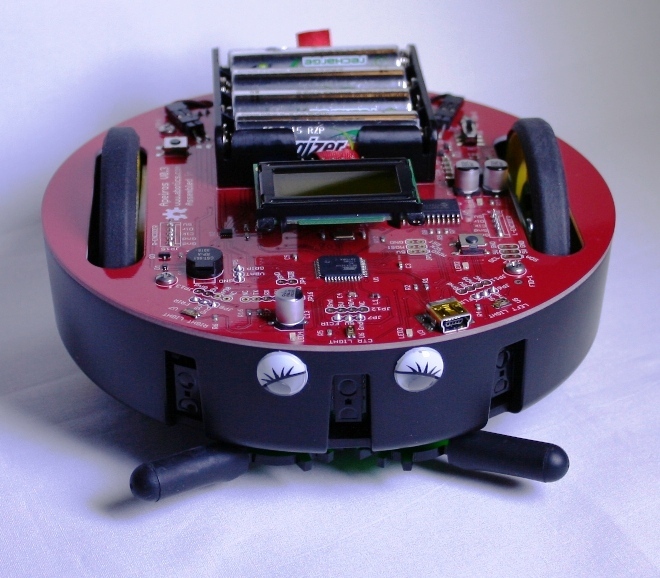 Apeiros (pronounced “ah.pay.ross”) is the next generation educational robot that has been expertly designed for everyone! Popular infrared object detection sensors mount within the custom plastic injection molded robot body. 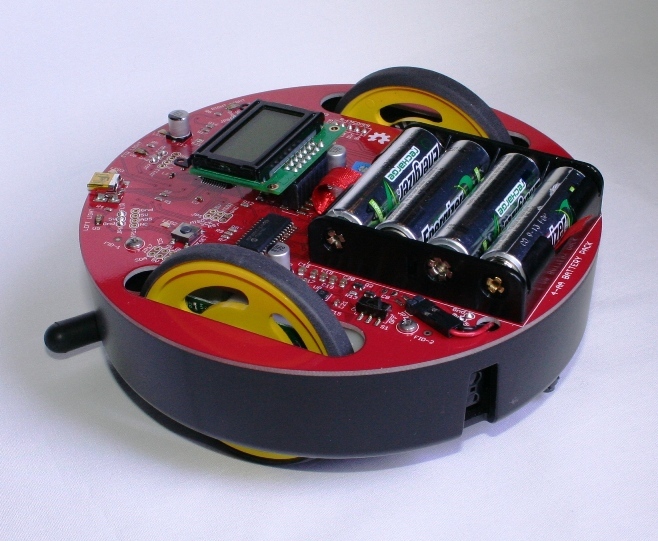 Apeiros can manipulate objects by using its servo gripper! Display characters on an 8×2 LCD or play tone sounds with a builtin piezo buzzer. Sense the ambient light level using (3) front mounted light sensors. Trigger custom actions using a momentary push button. We intend to provide the electrical schematics along with mechanical files so that you can explore how we designed Apeiros. Go ahead and modify the designs to meet the needs of your projects. 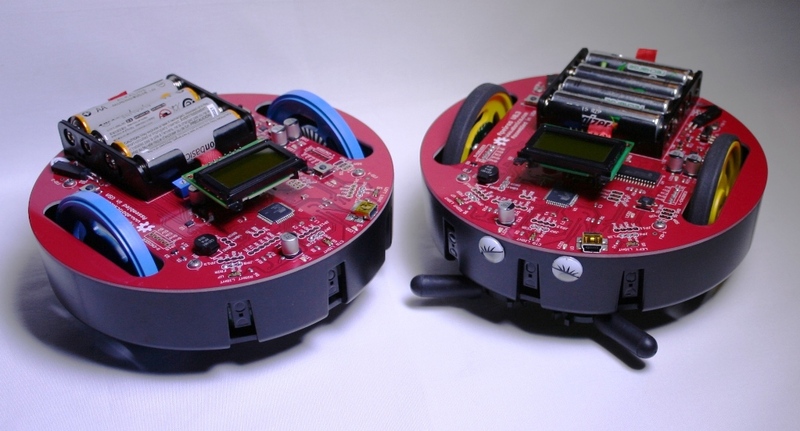 Apeiros is extremely expandable and can accept stackable shields that interface with its I2C connector. 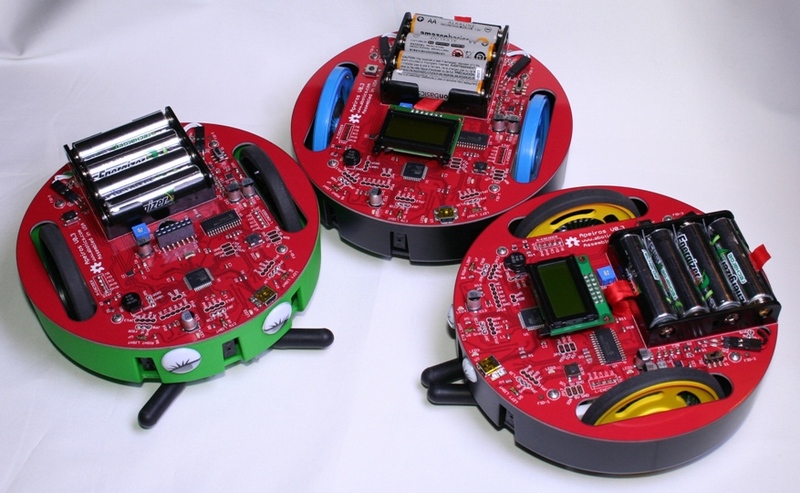 Add an accelerometer board to your Apeiros and explore a new world of sensing! We intend to develop additional shields. Apeiros is a truly unique robot. Go ahead and download the mechanical design files and 3D print your very own robot body! Explore your creativity by adding a few pieces of flare. We are in the process of releasing a custom PCBA that is based upon the popular ATMEGA32U. Our new PCBA will make Apeiros fully Arduino(R) compatible and it will be backward compatible with all existing Apeiros robots. Awesome new features include high-efficiency buck/boost regulator, piezo buzzer, 8×2 LCD, ambient light sensors, user buttons, LEDs and more! We plan to offer an upgrade kit for existing customers. Click the “Learn More” button below & follow our progress on Twitter. We are in the process of building our NEW website! If you want to find out more, then please click the NEW Website button!